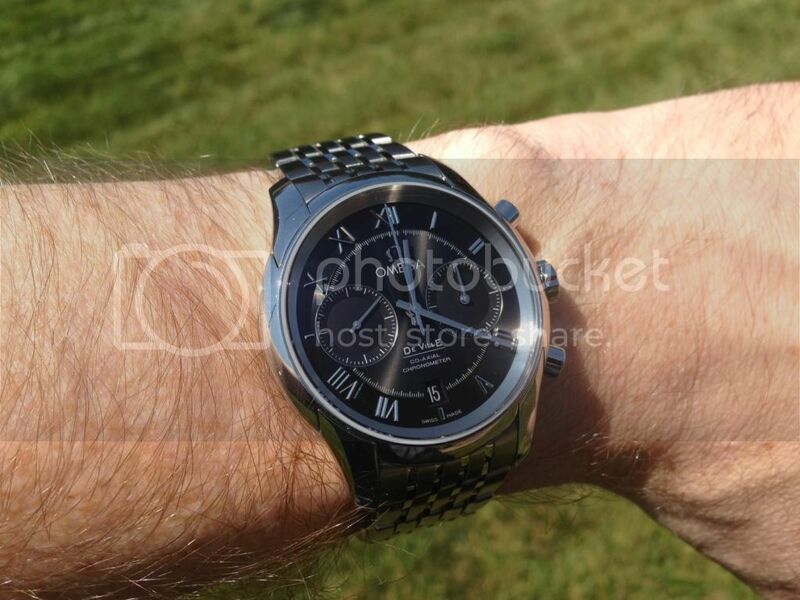 As some of you know I recently landed a DeVille Chronograph, but I've already sent it on to a new home. I figured I'd still share my impressions with the forum though. Pros: Very attractive dial, cal. 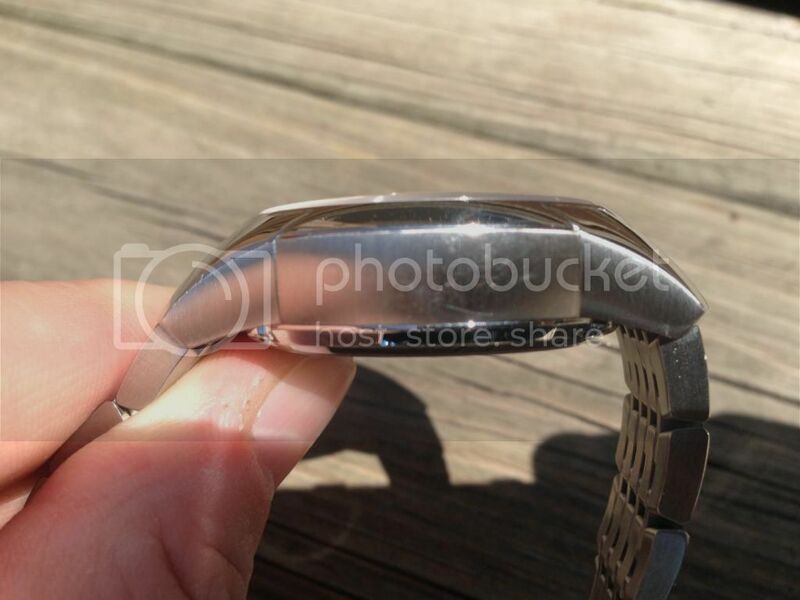 9300, and the Hour Vision-style bracelet is beautiful. Cons: Practically illegible in certain light, can't be accurately set (minute markers are on an inner track and the subdials partially obscure them), way too thick. 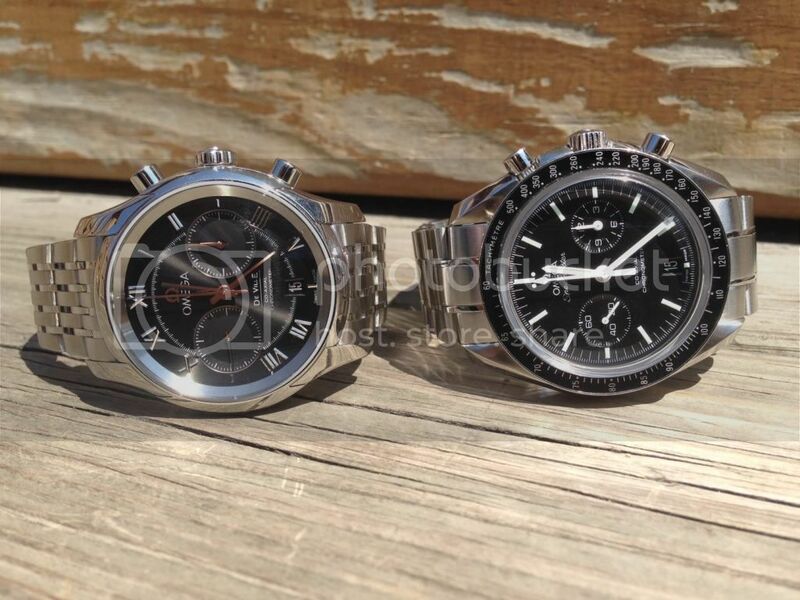 The Speedmaster is actually about 1 mm thicker than the DeVille, but it didn't seem that way. 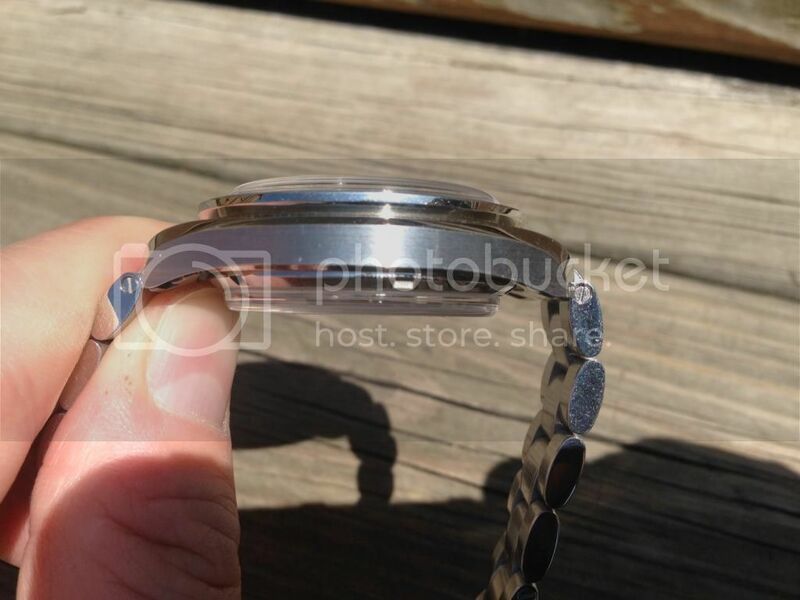 The Speedmaster's steel case is thinner it gets its thickness from the two protruding domed crystals. The DeVille is all brushed steel, which makes it look more like a Flightmaster or Mark III case from the side. Retro-cool on a sports watch, way out of place on a dress watch IMO. 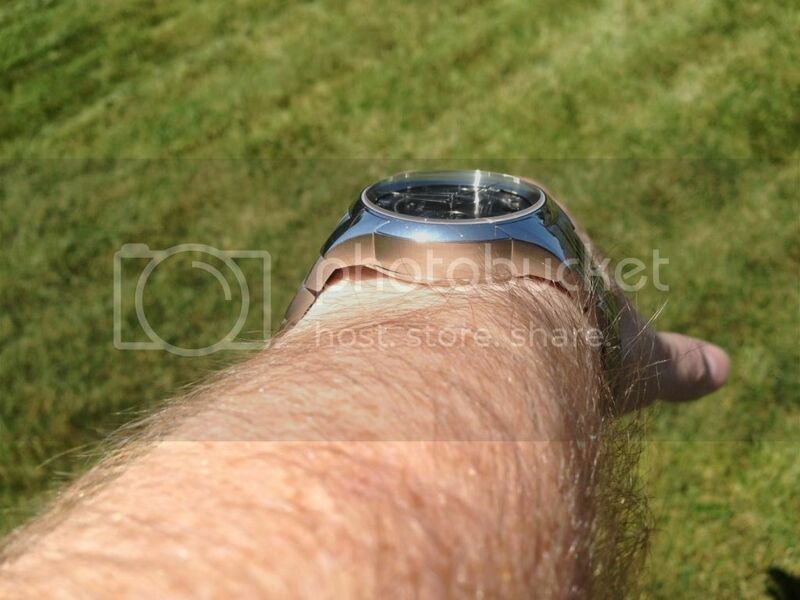 I'm still a huge fan of the 9300, and my Speedmaster isn't going anywhere. Someday I still plan on owning a PO 9300, where the thickness would be more welcome.